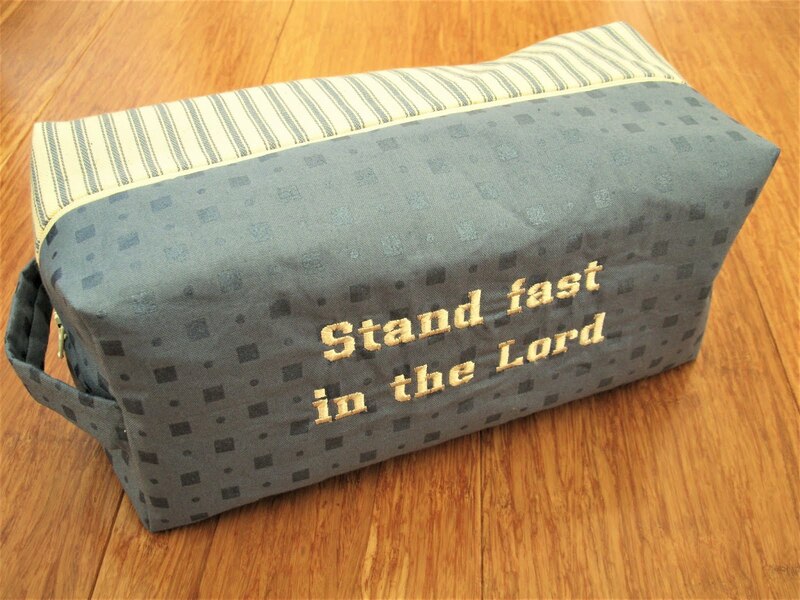 Steel-blue and cream shaving and toiletries bag will fit all your essential items at home or when travelling. 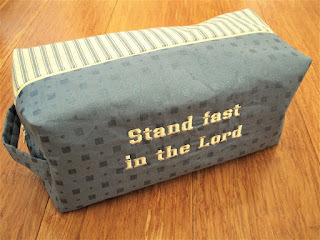 Features verse: Stand fast in the Lord. Zipper closure. Cotton, fully lined. 25cm long, 11cm tall with 11cm gusset.